You can stop looking now – we've got the only coat you'll need this season. Our transitional parka features a removable padded liner, so you can wear both to battle the chill or just choose one on warmer days. 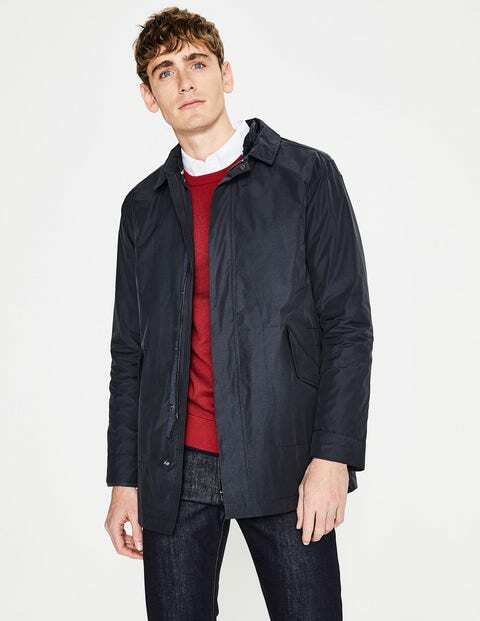 The outer layer has a clever shower-resistant coating, a detachable hood and a smart collared shape, keeping you dry on your walk to work. We've added plenty of our signature touches, like neon tape on the inside, antique-style metal hardware and herringbone trim down the zipper. Take it anywhere from the meeting room to the park – it'll keep you warm and dry no matter what.